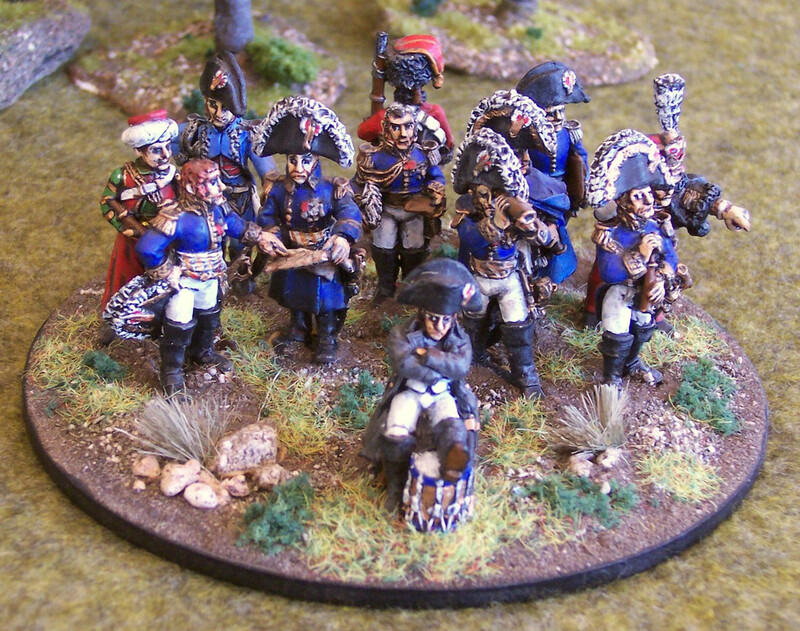 The General d'Armee FAQ video is now on line and available for viewing in glorious Technicolor! Any questions or feedback welcome! GdA Quiz! - There is one deliberate rules error! Can you spot it? The first person to correctly identify it wins a pint of cooking lager! Nicely done, I thought the production value and the content were quite good. Look forward to the game video. Thanks to David, Rich and crew for a very informative video which allows shows the depth of the rules and what players need to think about. I also learned that columns always fire on the Inferior Volley line, something that is in the book but isn't clear on the Game Cheat Sheet tables. Nice to see aggressive use of Skirmisher reinforcement, something we will need to try. And just one more thing right now - in the next Video can David please explain how to out-roll the enemy when you charge with infantry. This is a major problem for generals in our group! Great stuff guys well done. Some really useful tips and explanations. Will look forward to the promised battle, particularly if DB is going to reprise his Fred Scuttle impression. Infantry units in Column or Square formation always Fire at half effect. Any half casualties caused are rounded down. What is right to apply ? I think the prize for the GdA Quiz must go to both Michele and Walt! Very Well Done both of you! Yes - Columns of Attack fire as per their troop type at half effect, rounding down any half casualties. Only Columns of Companies automatically fire as an Inferior Volley! In the video situation it made no difference as both Austrian columns had also moved - therefore, as with all moving units, fire an Inferior Volley. The next time I see you both - the beers are on me! Brilliant work gentlemen- many thanks. Nice video Daveand Rich, well done. Looking forward to the fuller play through.